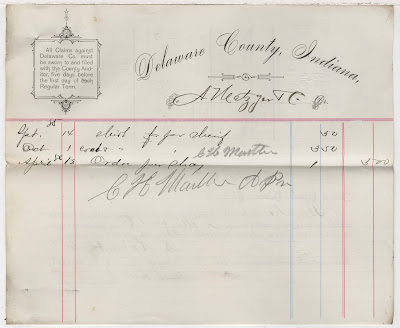 The Delaware County Poor Relief Records digital collection includes claims, correspondence, and proposals documenting the efforts of local government and cooperating community members to relieve poverty and meet the basic needs (clothing, food, housing, medical treatment, and burials) of Delaware County, Indiana residents from 1851-1888. Claims document the application from a community service provider submitted to local government officials requesting payment for goods and services rendered to aid those in need. This online collection includes digital copies of the entirety of the Poor Relief records, 1851-1888 in Archives and Special Collections. Click on the image to browse the collection.